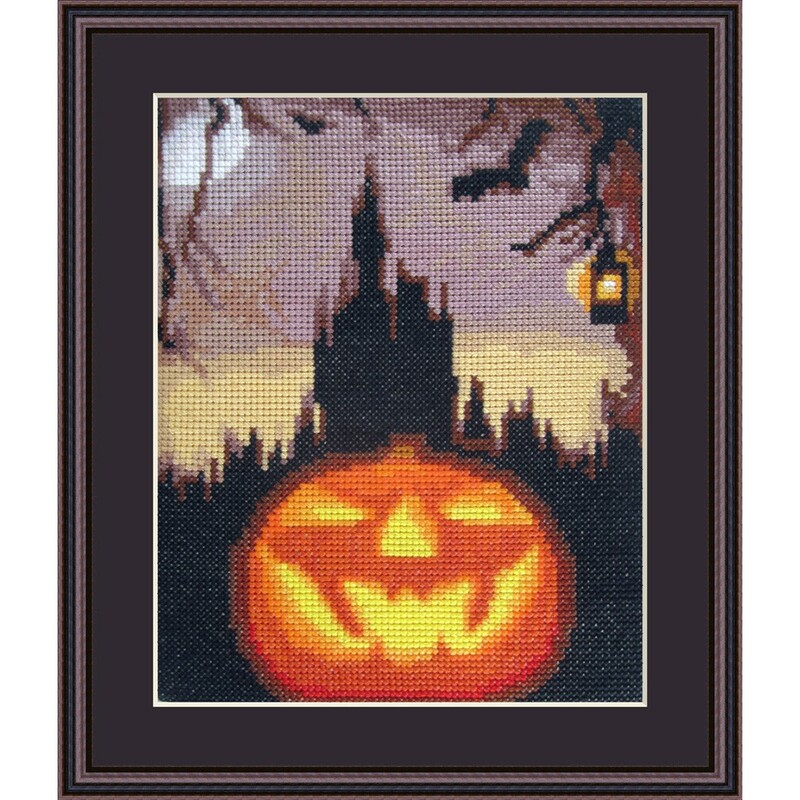 Cross stitch kit of a pumpkin becoming alive as the sun is setting behind the creepy castle on Halloween night, casting a shadow on the bats. 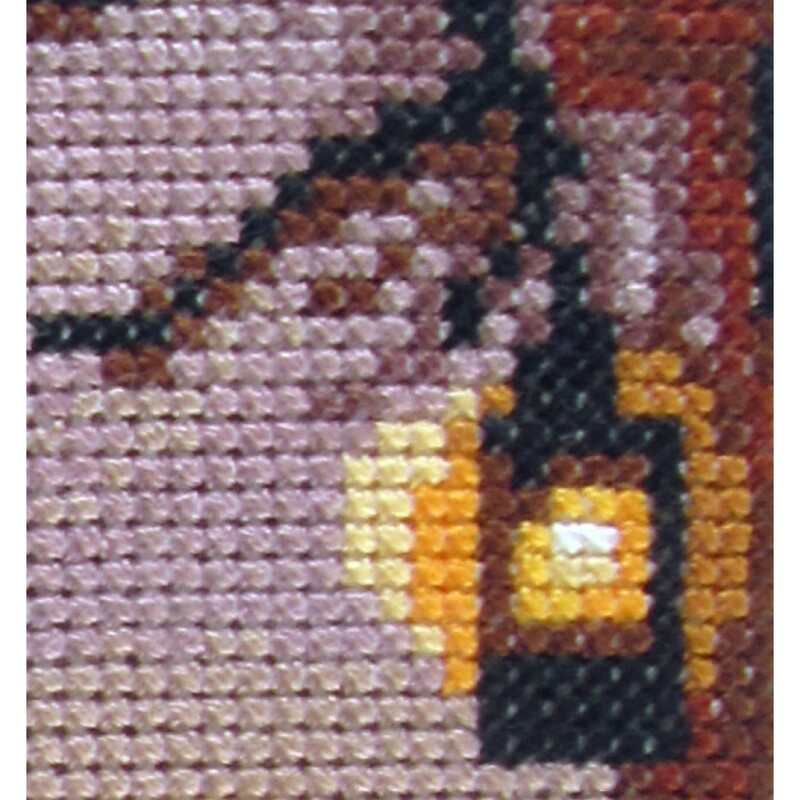 Including 23 colours of DMC floss and white aida fabric. 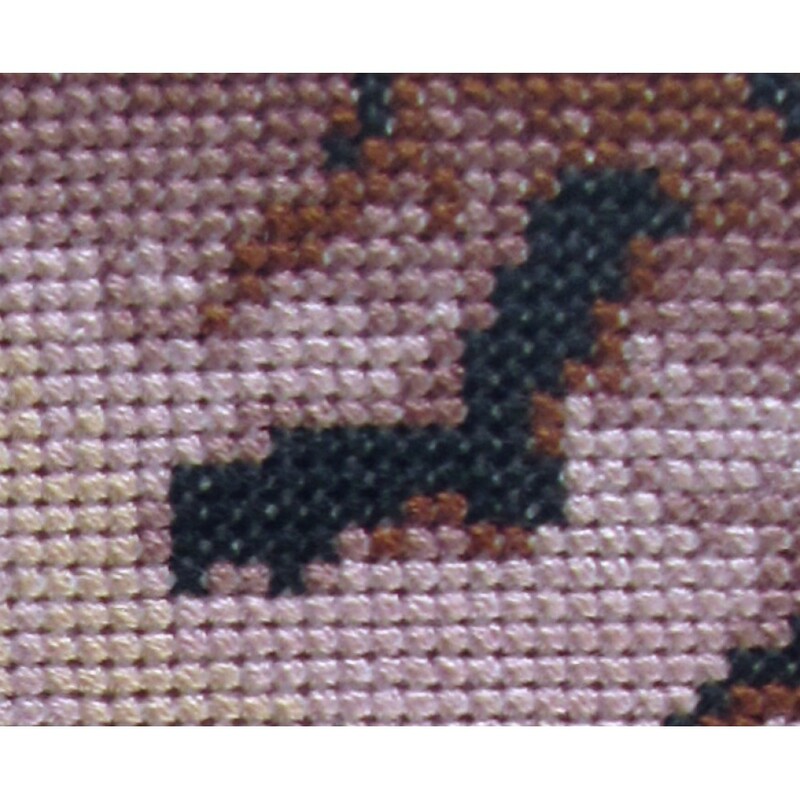 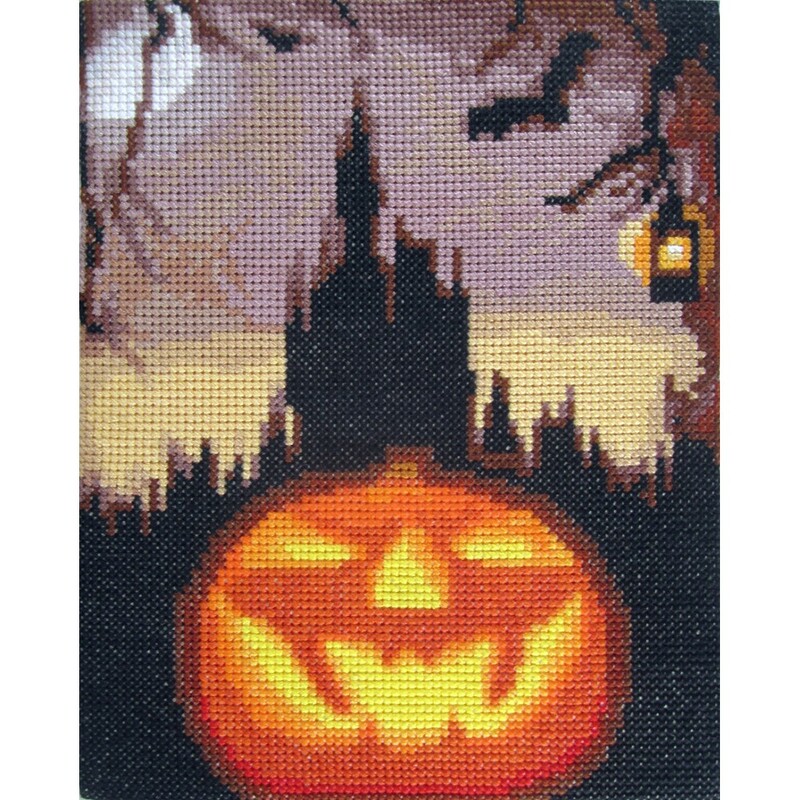 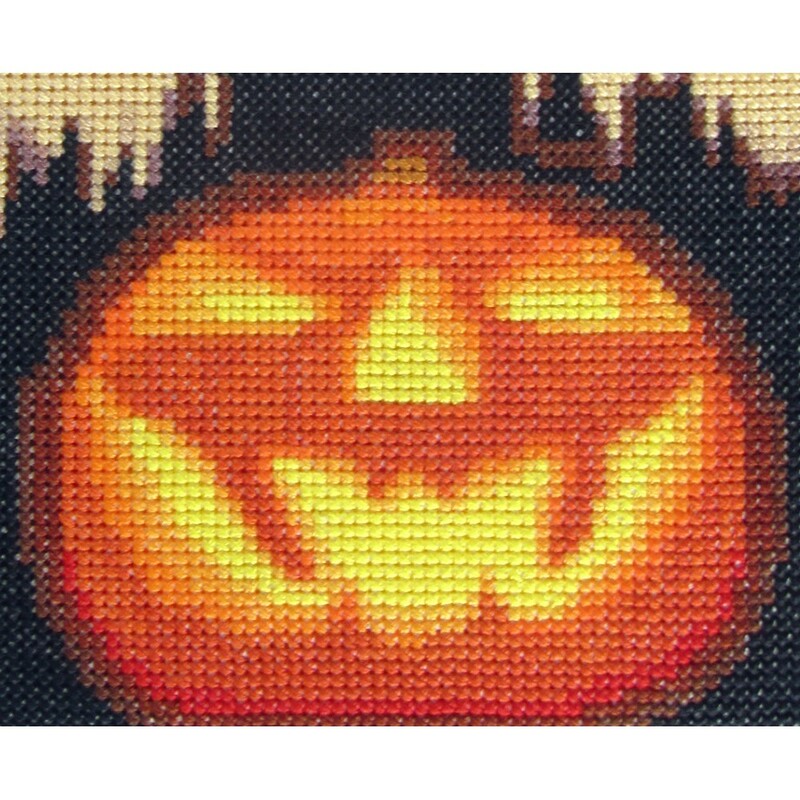 Breath taking cross stitch kit of a Halloween book comming alive! 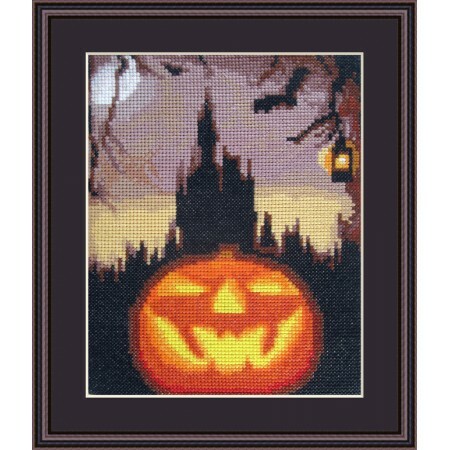 Including haunted house and flying..